(Pak Destiny) From where Imran Khan and his PTI will go from the Supreme Court’s verdict on Panama that let Prime Minister Nawaz Sharif off the hook. 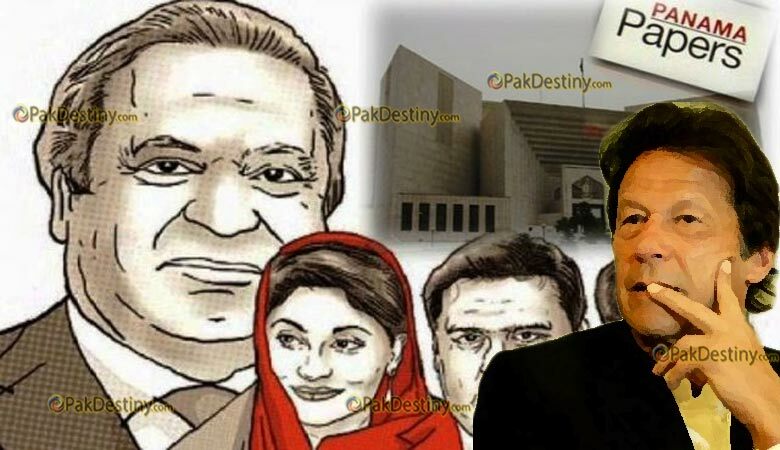 The Supreme Court today ordered a Joint Investigation Team probe into the alleged involvement of Pakistan Prime Minister Nawaz Sharif in the Panama case, where he and his children have been accused of using funds from illegal offshore companies to purchase high-profile property in UK. The SC has decided to establish a JIT to probe the involvement of the PM and his children in using funds from illegal offshore funds to buy property in UK. The court has ordered Sharif and his two sons to appear before JIT, which would consist of officials from different agencies. The SC said there is insufficient evidence to take any action against him. The JIT team will be given 60 days to the team to submit its report in the case, and a subsequent decision will be taken thereafter. The controversy came to the fore after the revelation of the Panama Papers that contained almost 11.5 million secret documents related to offshore investments by bigwigs – including ministers, prime ministers, sports persons, and actors – around the globe. It was leaked by the law firm Mossack Fonseca and the story was reported by the International Consortium of Investigative Journalists (ICIJ). Dontknow kab Imran Khan k emtehan khtm hongay. May Allah tala showers His special Rehmat n Fazl on dis beautiful soul. Its kher vs shar!